Supose that you are in Boring Party and you wanna get out from there.But you want reasons to take out from party.So never sad fake call & Sms is app that can create fake call you just recieve it and get out from boring party. 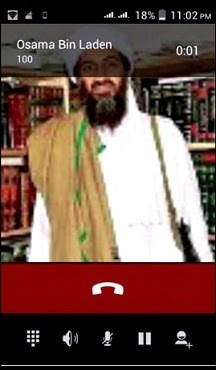 In the Picture you see osama calling me on 100 number. With the help of this app you can create fake call log of missed ,recieved & outgoing calls and also messages of any numbers.You can jealous your friend that his girlfriend can call him many times. It can rescue you out of any ugly situations that you want too avoid. Just configure it accordingly and it will create a fake call or a sms and you can run out of that place saying that there is some urgent work to do. You create fake call like any name like prophethacker called you on that number.The number is right the call is right and you just freaked up your friend. You see on the Internet that many guys show that he recieve 500rs recharge in mobile.They show the msg with the help of this app. 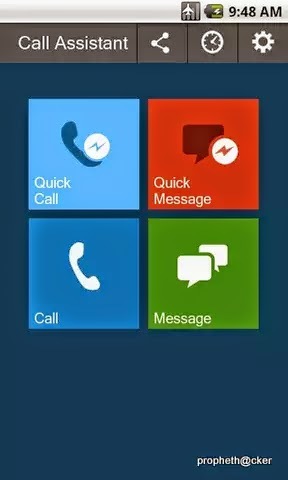 – 6 different Android system fake calling page to choose for your quick fake call.